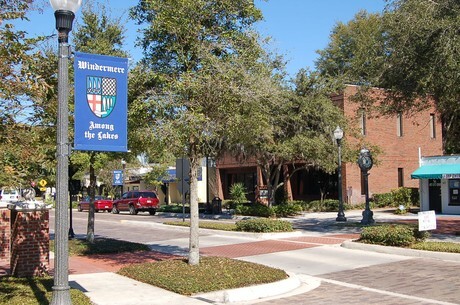 12 miles southwest of downtown Orlando, the town of Windermere is surrounded by the pristine Butler Chain of Lakes. The Butler Chain is a group of eight clear sand-bottom lakes connected by canals. 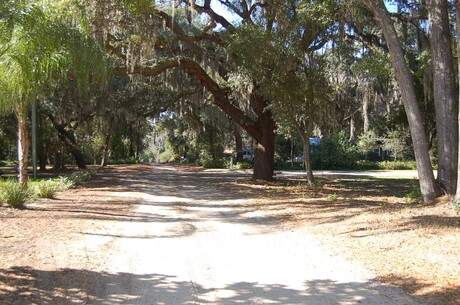 Many streets are unpaved in order to protect the lakes from runoff. 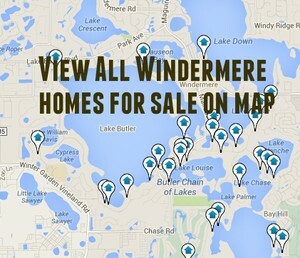 Click the blue button to view all Windermere homes for sale. 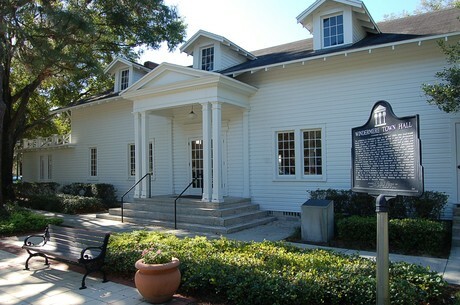 Windermere's small-town charm can be seen in its historically preserved downtown where the two story wood frame town hall serves as an anchor to the past. Surrounding land, once rich with citrus groves, is now dotted with lush estate homes. Windermere counts many of the Orlando area's most rich and famous among its 3,000 residents, as it is home to the posh Isleworth community on the shores of Lake Butler. Lake Sawyer South Ph 02 SubDv. Lake Sawyer South Ph 04 SubDv.